Virginia is one of the oldest states in the Union, and is considered neither progressively liberal nor the most conservative in terms of gambling entertainment opportunities that are available in the state. Is there an exciting Vegas style gambling environment in Virginia? For sports betting yes, Virginia recently passed a law which will bring sports gambling to this state. However, you won’t find any commercial or tribal casinos, and you won’ t find any live poker options either. Despite casino and poker gambling not being permitted in any form outside of some social or home poker games, there are a few gambling venues that are worth considering and that provide some interesting and enjoyable options for gamblers in Virginia. This page of our guide was created specifically for gamblers living in or visiting the Commonwealth of Virginia who are interested in learning more about the legal status of gambling in the state and what betting options are legally available to partake in. This page offers our informed and educated opinion, which is based on our extensive experience in the gambling industry, both online and offline. Our combined experience spans decades, and includes interaction with the gambling community, owner/operators of both land based and online gambling businesses, and various industry professionals. We are not attempting to provide you with or substitute for professional legal advice or services in any way. We are not lawyers and are not qualified to serve in that capacity. We provide this guide to be used for informational purposes alone, and not to take the place of professional legal advice. Should you have critical questions about the gambling laws or legality relevant concerns that need to be addressed, we suggest you speak to a licensed attorney. Is Online Gambling Legal In Virginia? There are no state or federal laws that make participating in online gambling at an online casino, poker site or sportsbook illegal as long as it is legitimately licensed and regulated outside of the United States. The gambling sites that are recommended on this page all fall into this category, and they all accept players from Virginia. 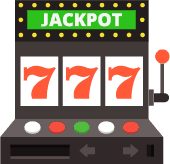 We have personally vetted each one of them, and have verified that they are operating legally within the industry and offer a premium online gambling experience through a highly secure environment. Bovada is a world class online gambling site that caters exclusively to American players. They have a sterling reputation in the industry for being fair, honest and always paying players on time. Bovada is the most popular site due to them offering both sports betting and a full online casino all from one user account giving players a one stop shop for all their gambling needs. Is It Legal For Virginia Players To Play Online Casino Games For Real Money? Lawmakers in VA recently allowed the definition of authorized gambling to be expanded to include sports gambling and online casino gambling. However, the timeline to launch has yet to be determined. Legally licensed and regulated online casinos that are based outside of the United States can also legitimately offer their gaming services to players in Virginia. 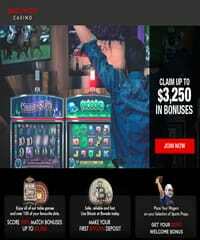 Partaking in this type of interactive gaming online does not violate any state or federal laws. You will find a listing of respected and reliable online casinos on this page that are all operating legally within the industry. In addition they each employ a sophisticated and advanced security profile and offer a premium gaming experience and performance. We have personally vetted each of the brands listed here. Virginia recently passed a law to permit domestic sports betting but no details of whether or not this means for online betting as well. That being said, there are still some fantastic offshore sportsbooks offering their betting services to gamblers and sports fans from Virginia. The online sportsbooks that we recommend in this guide have all been providing betting options to US players for years, and all deliver a secure, high quality betting environment and a wide range of sports coverage, wagering options and betting lines to choose from. They all also offer mobile betting and live betting options as well. We can recommend them to you without hesitation. Are Online Poker Sites Legal In Virginia? As is the case with online casinos, online poker sites based in Virginia are illegal according to specific laws that were passed in 2011. Those law do not eliminate all opportunities that Virginia poker players have for accessing legally sanctioned online poker gaming. In fact, the handful of online poker sites that are legally licensed, regulated and based offshore that we have chosen to include in our guide all offer an extremely feature rich and sophisticated online poker gaming experience. Each one of them can all legally offer their gaming services to players in Virginia because they are operating within a governing jurisdiction that has expressly legalized online poker for their respective territories. This enables them to legally offer their services to players around the world, including those in the US and in Virginia. You will also find impressive tournament schedules and promotions offered at our recommended poker sites. The lawmakers in Virginia saw fit to address online gambling within the state’s laws and statutes. HB 1584, HB 2700 and SB 1195 were passed in 2011, making it illegal to own, operate or play at an online gambling site based within Virginia state boundaries. None of this legislation has any impact on legally licensed offshore online gambling sites that accept Virginia players. In 2019, a law passed expanding Virginia's permitted gambling forms which included online casino gaming. What Is The Legal Gambling Age in Virginia? The minimum legal gambling age in the state of Virginia requires players to be at least 18 years of age in order to participate charitable gambling and pari-mutuel wagering. Players wishing to purchase lottery tickets must be at least 18 years old in order to participate. The same holds true for online gambling when enjoying online bingo, pari-mutuel wagering or purchasing lottery tickets online. Players must be at least 21 years of age in order to engage in online casino gambling, online poker or online sports betting at legally operating offshore gambling sites. Will The State Of Virginia Make A Move To Legalize Online Gambling Anytime Soon? The fact that lawmakers in Virginia took the time and effort to specifically criminalize state licensed online gambling demonstrates that the Old Dominion is just not ready for Internet gambling just yet. Until there is a dramatic changing of the guard in Virginia, we wouldn’t expect any changes to take place on this front. That being said, it is important to note that the state did pass legislation to regulate daily fantasy sports contests, which is a form of entertainment that takes place online. This may be their first baby step in the right direction for embracing state regulated online gambling. Should someone in the right position recognize the revenue benefits that an online gambling initiative could bring into the state, their tune might change in the right direction. Am I Going To Get Arrested If I Gamble Online In Virginia?